The Thorneycroft family (originally Thornicroft) originated in Cheshire in the 13th century. In the 1660s John and Katherine Thornicroft moved to Broseley, Shropshire, where their son John was born in 1663. John’s grandson, Edward Thorneycroft married Mary Bradley, and they had a daughter, Maria, born in 1787. Around 1790 they moved to Tipton, Staffordshire, where Edward became landlord of ‘The Three Furnaces’ public house. 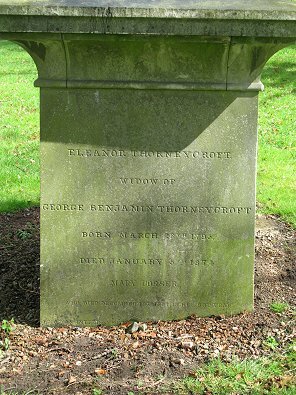 Their next two children, twin boys, Edward Charles, and George Benjamin, were born there on 20th August, 1791. They went to a local school, but George had little interest in class work, and only learned to read because his mother made him read the bible. His main interests were anything to do with mechanics, or chemistry. At night he would go into a nearby iron works and became fascinated with everything that he saw, learning many processes that would be useful to him in future years. The family moved to Kirkstall, Leeds where Edward senior worked at Kirkstall Forge. He was soon joined by his twin sons who began their working life at the forge, and attended evening classes to learn about iron manufacture. George began to put to good use many of the things that he had learned from his night-time visits to the Tipton iron works. In 1809 at the age of 18, the two brothers returned to Staffordshire. George became an iron puddler at Addenbrooke’s Moorcroft Ironworks at Bradley, and soon discovered a method of producing better quality iron at a cheaper price. 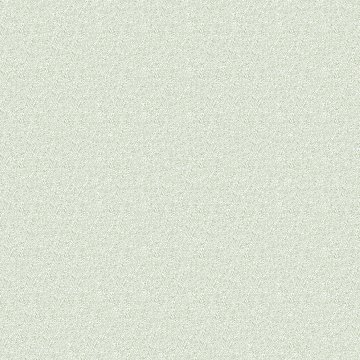 Mr. Addenbrooke was delighted. He promoted George to superintendent of the works, and gave him a share of the profits. It was in this role that he established his abilities as a confident leader. After about two years he saved £600, a lot of money at the time, and married Eleanor Page, daughter of Thomas and Hannah Page, of Moxley. In 1817 he invested his savings, along with Eleanor’s £300 dowry, in a small ironworks that he opened at Forge Yard, Waterglade Street, Willenhall. George, Eleanor, and their first daughter, Ann, who was 12 months old, moved to Willenhall and lived in a cottage that stood on the site of the HSBC bank, on the corner of New Road and Market Place. It was here that their next four children were born; Mary in 1818, John in 1820, Emma in 1821, and Thomas (later known as Colonel Tom Thorneycroft of Tettenhall Towers) in 1822. The ironworks was unsuccessful and so George began dealing in pig iron, and became wealthy on the proceeds. In his early years George was a staunch Wesleyan Methodist, who later joined the Church of England, and gave generously to Willenhall Chapel. 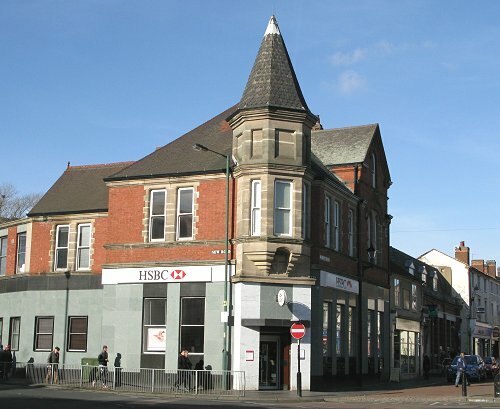 The HSBC Bank in Willenhall which stands on the site of the Thorneycroft family's cottage. In 1824 he invested £1,800 in a new venture with his brother Edward, and established the Shrubbery Iron Works, in Lower Walsall Street, Wolverhampton. The works were in two halves with Lower Walsall Street in the middle, and the Birmingham Canal running alongside. All of the chimneys were confined to the northern half of the works between Lower Walsall Street and Horseley Fields, so the iron must have been produced and worked there. In the beginning the works were quite small, producing about 10 tons of iron each week, but thanks to George’s expertise the business soon grew. In a short while the output increased to between 600 and 700 tons a week, and the iron works became well known as producers of high quality iron. The two brothers worked together for several years, but eventually they dissolved the partnership by mutual consent, and Edward departed. George continued to run Shrubbery Ironworks under his company, G.B. Thorneycroft & Company. In later years his partners were John Hartley, Thomas Thorneycroft, John Perks, and Thomas Thorneycroft Kesteven. The company also owned Bradley Colliery, the small Millfields Ironworks at Bilston, and Dyer’s Hall Wharf in London. In the late 1830s and early 1840s railway mania swept through the country. As a result the demand rapidly grew for rails and railway ironwork. George Thorneycroft wrote to the newly formed railway companies suggesting that all rails should be tested, and that many manufacturers were supplying inferior materials. As a result the ironworks received many orders from the railways and became known as a supplier of high quality axles. One year later, with his doctor, Mr. E. Coleman, he presented himself before lecturing staff and students at Queen’s College, Birmingham to demonstrate how the severe burns covering much of his body, had been healed by the use of cotton wool freely applied to the dressings. George, a keen Conservative, was one of the two guests of honour at the first Conservative Association dinner which was held at the Star & Garter in Wolverhampton. The other principal guest was Lord Ingestre. 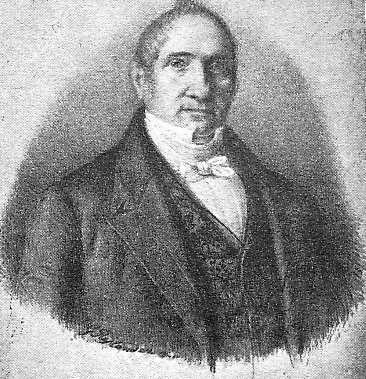 George became Wolverhampton’s first mayor after the town’s incorporation in 1848. There were two candidates, George, and John Barker, the ironmaster at Chillington Ironworks. They were from rival political parties, but good friends. After an amicable discussion John Barker withdrew, and George became mayor. He decided to give a mace to the new corporation, and purchased the silver mace from St. Mawes in Cornwall, which he found at Fown and Emmanuel’s establishment in London. The mace had been in use until 1832 when the borough of St. Mawes was abolished by the Great Reform Act. The mace is still the Wolverhampton mace today. In 1850 George laid the foundation stone of the exchange building that stood in Exchange Street opposite the retail market. He was a wealthy and generous man who eagerly contributed to many organisations and charities. During his time as mayor he founded the Thorneycroft Benefaction which consisted of a gift of £1,000 to be used for the distribution of blankets and flannel for the poor. He contributed handsomely to the restoration of St. Peter’s Church, and became a church warden. He laid the foundation stone at St. Matthew’s Church, and paid for the steeple at St. Mark’s Church. He also contributed £500 to the Wesleyan Centenary Fund having been involved in the Wesleyan church in his early life. On Sunday mornings he worshipped at St. Peter’s, and on Sunday evenings attended the Wesleyan Chapel in Darlington Street. His wife Eleanor also supported the Wesleyan cause. In 1839 she assisted in the ceremony for the laying of the first brick at Blakenhall Wesleyan Chapel. His political views were not always welcomed. The first annual dinner of the Bilston Operative Society was held on 7th August, 1840 in a marquee, especially erected for the occasion in Bilston Market Hall. The guests included George and a number of other prominent conservatives. While the meeting was in progress, a large number of people assembled outside the market gates, and forced their way into the market. They stormed the marquee, and roughly handled the diners, who were forcibly removed. Their views were clearly not welcome in the town. George served as a Justice of the Peace for Staffordshire and Shropshire. It was said that his judgements as a magistrate were firm and upright, and dictated by plain common sense. He also acted as a mediator between litigants, to avoid the necessity of resorting to legal proceedings. George in his later years. The Thorneycroft family's Wolverhampton home, Chapel House, on Tettenhall Road. In Wolverhampton the family lived in style at Chapel House, on Tettenhall Road. 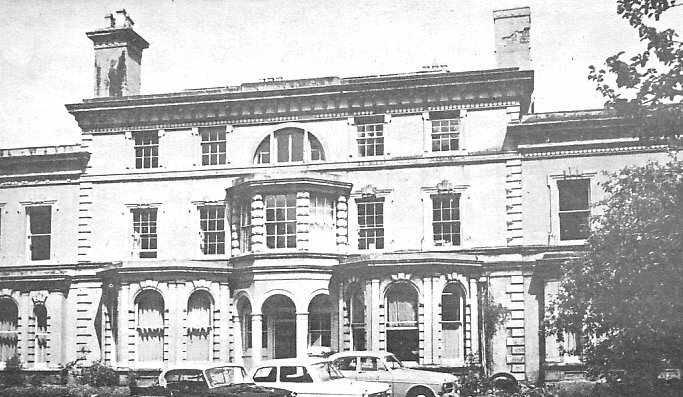 A wing was added on either side, and it was later divided into two to form Granville House and Salisbury House. As the children got older, George built ‘Summerfield’ in the grounds of Chapel House as a home for Mary. After her marriage, Emma and Ellen began their married life there. The four girls married men who became prominent in the town. Mary married Charles Corser a Wolverhampton solicitor. Emma married John Hartley in 1839. He hailed from Scotland and owned Hartley's Glassworks in Sunderland. He moved to Wolverhampton, and in 1828 became a partner in Chance Glass Works, Smethwick, with Robert Lucas Chance. He was also a partner in G.B. Thorneycroft & Company, and became a very wealthy man. When George died the Hartleys inherited his estate in Wheaton Aston. They added to the estate by buying more and more property, and then sought a grander residence as befitting their new status as landed gentry. In 1858 John and Emma leased Tong Castle from the Earl of Bradford, and until his death in 1884, Hartley was referred to as the Squire. Harriet married Charles Perry, the eldest son of Thomas Perry who founded Thomas Perry & Son Limited at Highfield Works, Bilston. Ellen married Henry Hartley Fowler who trained as a solicitor, and came to Wolverhampton as a partner to Charles Corser. He was elected to the Council as member for St. Matthew’s Ward, and became mayor in 1862/3. He then stood for Parliament and was elected with a large majority. Because of his support for the Wolverhampton Corporation Act of 1891 he was made a freeman of the Borough in 1892. In 1908 he was raised to the peerage as Viscount Wolverhampton. 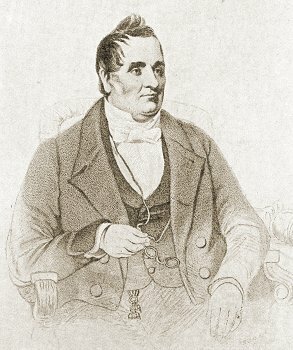 Thomas, the most well-known of the children, married Jane Whitelaw. He became a wealthy industrialist, a landowner, and a well-known Conservative. He was known as Colonel Thorneycroft because he was a Lieutenant Colonel in the Staffordshire Yeomanry. He is remembered for his wonderful home, Tettenhall Towers, now part of Tettenhall College, and for his flamboyant lifestyle, his inventions, and eccentricities. In 1850 George purchased the old Molineux estate in Willenhall, and in 1851 gave the land for Wood Street Cemetery in Willenhall to the Methodist church. The cemetery soon filled and no further interments were allowed, except in existing graves. He also acquired a large estate in Wheaton Aston. George became an authority on the manufacture of malleable iron, and on railway wheels and axles. In 1850 he became an associate member of the Institute of Civil Engineers, and gave a paper to them entitled 'On the manufacture of Malleable Iron and the Strength of Railway Axles'. For this work he was awarded the Telford Medal. George Thorneycroft never recovered from the effects of the boiler explosion in Willenhall. As time progressed he grew weaker, eventually becoming bedridden. In the early part of 1851 he suffered from brain disease, and appeared to improve, but a relapse took place, and he died on 28th April, 1851, at the age of 60. He had a massive funeral. The streets must have been lined with people, all the way from the town centre to the church and the cemetery. Around 20,000 people came to view the proceedings and pay their last respects. Shops and businesses in Wolverhampton closed between 11 a.m. and 1 p.m. The corporation was entertained for lunch by Charles Corser, before they led a long procession through the town, which included one thousand of George’s workmen, many of his fellow ironmasters, and his private carriage, which had the blinds drawn, and was driven by Thomas Spilsbury, George’s favourite servant. 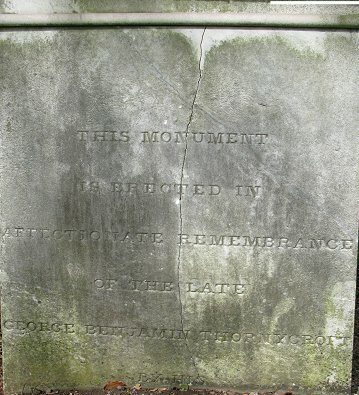 The funeral service took place at St. Mark’s Church, and George was buried in Merridale Cemetery. After his death around 1,000 Shrubbery workers subscribed to a bronzed cast-iron monument, erected in the cemetery, to commemorate the life of a well-respected employer. 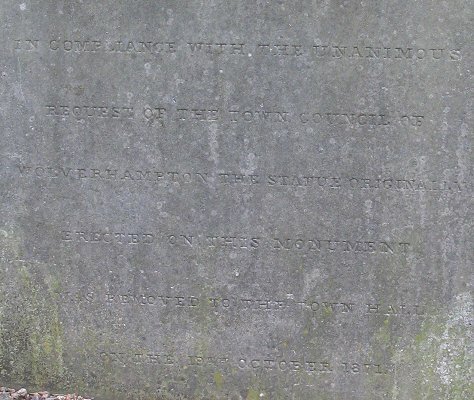 A colossal marble statue of George Benjamin Thorneycroft produced by the sculptor, Thomas Thorneycroft of London, was erected on a plinth next to the grave. It must have been an impressive sight. Although the plinth still remains, the cast iron monument has gone, and the statue was moved to the entrance hall of the new Town Hall in 1871. 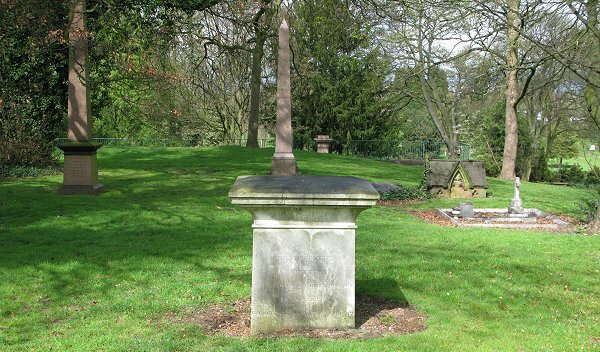 When Eleanor died on 5th January, 1874 she was buried alongside her late husband. One other member of the family is also in the grave. It is their daughter Mary Corser who died on 18th December, 1897 at the age of 80. Shortly after his death George was honoured at the Great Exhibition of 1851. G.B. Thorneycroft & Company received a prize medal for their exhibit of Brigg’s patent compound axle, tyre, and rails. George, Eleanor, and Mary's grave in Merridale Cemetery. 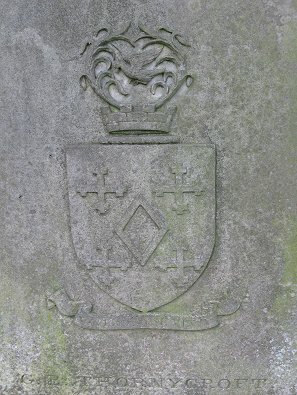 Two views of the back of the grave which displays the family crest, and George's name. 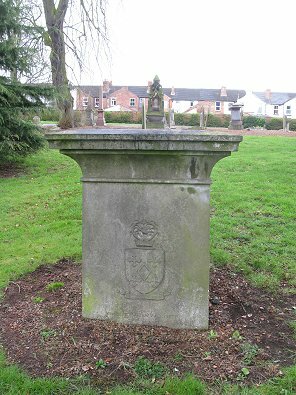 Another two views of the grave. on the 19th October 1871.